One more day until Christmas! It is not too late for you to get something special for your family and friends. 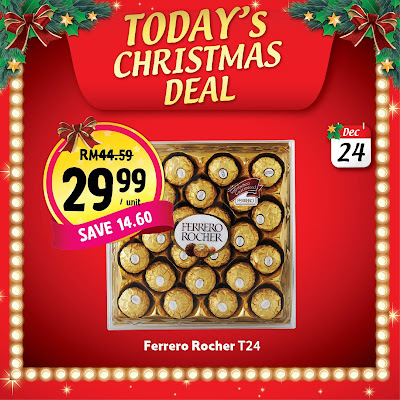 Give them the Ferrero Rocher chocolate, which they will love. Quick, while stocks last. T&C apply.